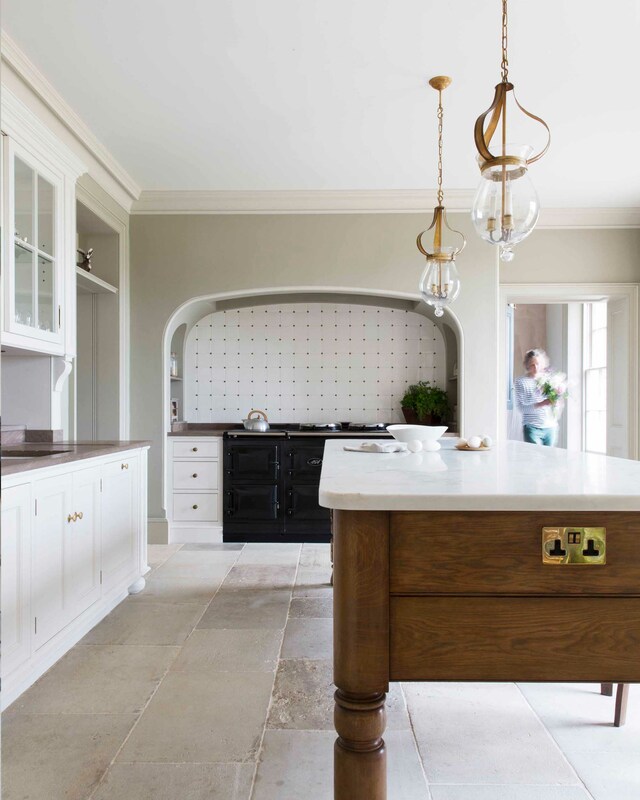 Artichoke has designed a number of bespoke kitchens for Buckinghamshire clients over the last 25 years. It’s proximity to London has seen the county attract many Londoners looking for a convenient rural idyll, and as a consequence, the architecture has more variety than many other counties. It is certainly true that many of the more contemporary projects designed by us have been in Buckinghamshire. As house prices in London increase, Buckinghamshire is not losing its popularity. The county has a vast variety of magnificent homes, making it a particularly exciting place for Artichoke to design bespoke kitchens into. Recent projects in South Buckinghamshire include designing a period bespoke kitchen for a new build house near Marlow, and several projects near Chalfont St Giles and Chalfont St Peter. We are also currently involved in designing a large bespoke kitchen and library for a Grade II listed house near Beaconsfield and the re-design of a domestic interior for a Georgian house near Burnham. Great houses in Buckinghamshire which are of particular interest to Artichoke include Hall Barn near Beaconsfield and Clivden near Taplow. Artichoke is typically commissioned by clients seeking unique and completely original kitchen design, and that cannot be found in showroom ranges. We’ve designed kitchens into most types of country houses in Buckinghamshire since starting the company 25 years ago. One thing that has changed little since then is how we all function as families and how we all go about our daily routines. Artichoke’s first approach when designing any room is to look deep into that routine closely and to really get under the skin of the client, and understand their behaviours and circumstances. It is only by really understanding the person using the room that we can design a room that works for them. Once the kitchen layout is formed and agreed, we are then able to look more into the styling and more specific elements such as the equipment they have, what storage is required in the kitchen, and what it looks like from a furniture detail point of view. To discuss your kitchen project in Buckinghamshire, can Andrew or Bruce at Artichoke. You can also view our portfolio to see more examples of some of our work in Buckinghamshire, or email us at newprojects@artichoke-ltd.com to discuss your project in more detail.